What a journey it was to get here! It has "almost" already been worthwhile just from the scenery alone in Hiva Oa! 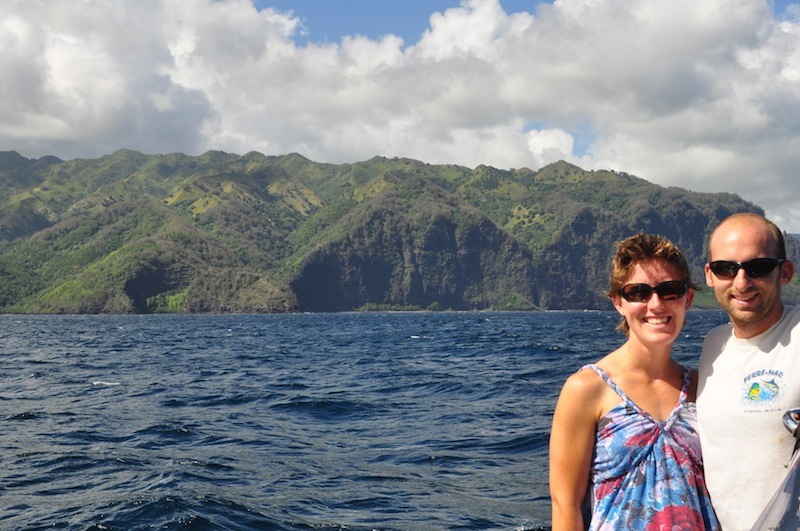 At anchor in Traitor's Bay Hiva Oa! Thanks so much to everyone who sent along words of encouragement while we were underway. It was great reading them all on our arrival here. Our friend Nick suggested we take a photo each day of the crossing. It wasn't always easy, but we are happy to have them and here is the result! 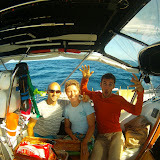 The following are the "best of" of our Pacific crossing. This may be next year for us! Thanks for sharing pictures, stories and video - good to see and hear about other experiences.